As you read this, it is Simchat Torah, the celebration of the end of one Torah cycle and the beginning of another. Yesterday was Shemini Atzeret which is considered the last day of Sukkot but in fact is a separate festival, the eighth day of assembly. Of course, sundown tonight begins the weekly Shabbat, and tomorrow in synagogues all over the world, the very first words of Genesis will be read again. A lot is going on and almost all of it exclusively has to do with the Jewish people. Let me explain. The seven days of Sukkot have a great deal of meaning, not the least of which is an invitation for guests to join a Jewish family in their sukkah. Some synagogues have congregational sukkot (plural of sukkah) and will invite in anyone who desires to enter. Especially the Chabad will invite non-religious Jews in order to reacquaint them with the Torah and Jewish religious practice, but it’s not unheard of for non-Jews to also join in on the fun. But that’s for seven days. While Shemini Atzeret is considered an eighth day of Sukkot, it is not the same as the other days of the festival. I once heard a commentary stating that while guests are invited on the seven days of Sukkot and that everyone is engaged with each other and with God, the eighth day is more intimate, more of a personal encounter, a private exchange between the Jewish people and their loving Father. It’s like having a houseful of family and friends in your home for a seven-day party, but on the eighth day, the guests all go back to their homes, and the family spends one special day of closeness with their Father. Doesn’t sound very flattering if you’re a guest but we understand that family is special and they need the time to be together as family. But what if you’re a Christian? Aren’t you family? In terms of traditional Judaism, no (for the most part, Messianic Judaism would have a different take). 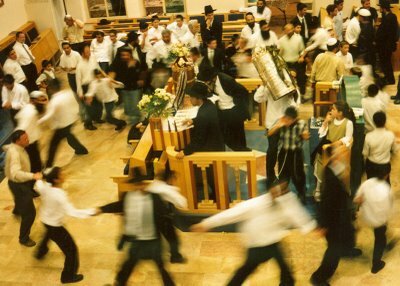 It’s not that God isn’t the Creator of Jews and Gentiles, but Shemini Atzeret commemorates the unique relationship God has with the Jewish people and, as Rabbi Rosenfeld suggests relative to Simchat Torah, God commemorates His relationship on this day with each, individual Jew. 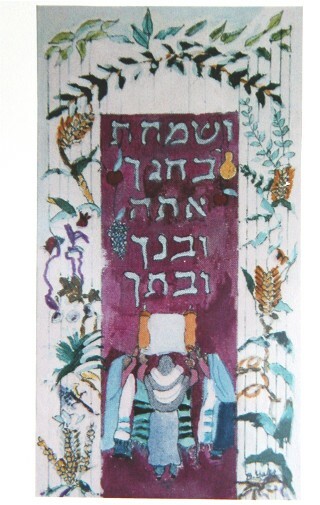 Simchat Torah celebrates the special relationship of the Jewish people and the Torah. 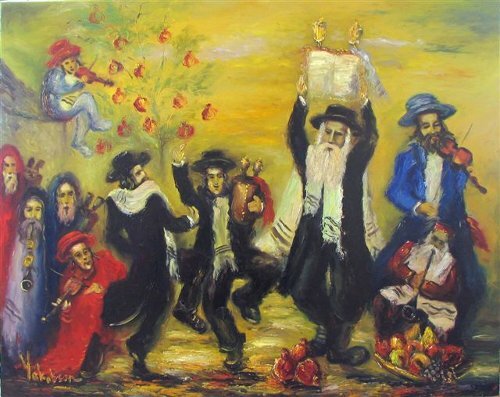 While Shavuot (Pentecost) observes the anniversary of the giving of the Torah to the Jewish people at Sinai, Simchat Torah is the celebration of the unbroken joy of ending one cycle of readings and beginning another, dancing with the Torah and with God on the very final day of the holiday season, for tomorrow the Torah readings begin again. “He stared at me for a moment seeming very moved by the idea that this Torah would help people come closer to Judaism. All of a sudden, he started crying — I mean really crying with tears streaming down his face. I was trying to get him to talk, but he literally couldn’t get any words out. Finally, he explained. He had drifted away from Judaism and married a Buddhist woman. 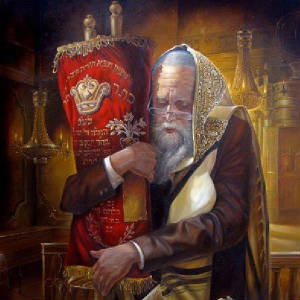 This Torah scroll was his only connection, and at this point, he felt so cut off that he thought he might as well sell it. But when he found out that this Torah would help reconnect people to Judaism, he wanted to give it to me as a gift. In this way, he felt he would perhaps have the merit to be reconnected too and find his way home at last. “I didn’t know what to say, but I certainly appreciated his incredible gift. I realized that this was a Torah that had been basically homeless for the past 50 years. There was no one to read it, hold it or keep it properly, and now God gave the Torah a home, and would hopefully bring this lonely Jew back in the near future as well. “Now, what about an ark? That’s a story of its own. I found an online ad for an old Jewish artifact, a Jewish chest. The sellers weren’t Jewish, but they had bought it from a priest who told them it was of Jewish origin. I’ve read Rabbi Pruzansky’s story in years past, and it’s a good one. He relates how he habitually held Shabbos meals in his home for 30 or 40 young Jewish people, Jews who for one reason or another, don’t feel comfortable entering a synagogue. In a more home-like setting, the Rabbi wanted to give these young Jews the opportunity to eat a kosher meal and even to have an aliyah, to be called up to read the Torah from a kosher scroll. As you read, he had some difficulties acquiring a proper scroll for a reasonable cost and an authentic Jewish ark for the scroll. In different ways, the scroll and the ark had “strayed from the path,” so to speak, with the scroll all but neglected and the ark having been in possession of a Christian Priest. “My dear friends, look at what we have here. A Torah that was neglected for so many years was finally given a home in an ark that had been used by a priest. Yet the message was clear that God would never give up on them. He had not forgotten about this lost ark and Torah scroll, and finally the two of them were brought together and can now be used to bring young men and woman back to their Father in Heaven as well. I know Gentile followers of Jesus who steadfastly maintain that the Torah belongs to both Jewish people and Gentile believers in exactly the same way, but I consider this not only to be untrue, but to be incredibly insensitive to the connection between the Jewish people and God. It’s not that I don’t believe God loves those of us from the nations who are called by His Name (Amos 9:11-12), but I do draw a distinction between the nature and character of God’s relationship with and purpose for the Jewish people and how God relates to the rest of us (yes, even the rest of us who are in Christ). Yes, I firmly believe Christians have a special role and purpose that God has assigned us and that only we can accomplish and fulfill. Yes, I do believe that God loves us as much as He loves the Jewish people and that we are not second class citizens in the Kingdom of Heaven. But I also believe that the Jewish people are unique to God and have a place that is especially near to His heart. They are His treasured splendorous people (Exodus 19:5). I can hardly begrudge God and the Jewish people special times in which they meet just between the two of them to acknowledge, celebrate, and experience what is uniquely between God and the Jews. We need to acknowledge the complexity of human relationships with God, what makes the connection especially precious regarding the Jewish people, and what we all can share together as human beings who live in a universe authored by the Creator. “In the beginning of God’s creating the heavens and the earth” “… God blessed the seventh day and sanctified it because on it He abstained from all His work which God created to make”. Divrei Shaul notes that all traits can be a matter of degree. There can be greater beauty and lesser beauty, greater wisdom and lesser wisdom, greater strength and lesser strength. 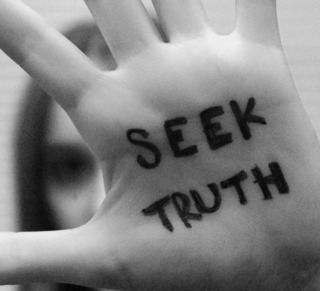 Only one trait cannot be more or less: truth. Something is either true or it is not true. God is identified with truth. Just as truth can never be altered, because altered truth is no longer truth, there can be no change in God (Malachi 2:6). The Talmud says that emet is broad-based, consisting of the first letter of the alphabet, aleph, the middle letter, mem and the last letter, taf (Shabbos 55a). Truth, therefore, has stability and durability. Falsehood, on the other hand is the Hebrew word sheker, consisting of three letters near the end of the alphabet. Sheker is top-heavy and cannot endure. To the extent that a person lives with truth is the extent one identifies with God. Any falsehood distances a person from God. One of the things we all have in common if we have any sort of relationship with God at all is that we are all truth seekers. If we can see God’s “signature” on His Creation and know that it is truth, then we will seek out that truth. We will discover God’s truth, and in order to foster closeness between us and God, we will increase the truth in us and remove the falsehood. Once we accept the truth, God’s love and grace will be self-evident in all of our lives, Jewish and Gentile alike. In the two decades following the Bar Kochba revolt, three major personalities came to represent three different types of second-century Christianity. A philosopher named Justin Martyr championed the dominant, orthodox Christianity that would soon become the normative expression of Christian faith. A bishop named Marcion of Sinope brought anti-Jewish, Gnostic Christianity from obscurity to the mainstream where it became a serious threat to true faith. The bishop Polycarp of Smyrna continued to defend and represent the old-fashioned, Jewish, apostolic Christianity he had inherited from the disciple John. As a short epilogue to our studies, the Chronicles of the Apostles concludes with a brief look at each. This is the last reading in my year-long study of the “Chronicles of the Apostles.” It began with Acts 1:1 and proceeded through an adventure of learning and re-learning about the life of Paul and well beyond, as recorded in scripture, historical texts, and even myth. My Torah Club readings have been a fixture of my Shabbat studies and I will miss them. It seems fitting as one Torah cycle closes and another opens, that I offer a brief review and commentary of the last Chronicle of the Apostles of D. Thomas Lancaster. To extend Paul’s words, can we say that the New Covenant, which isn’t even fully enacted as yet, invalidates “a covenant previously ratified by God?” Justin Martyr seems to think so. So do a lot of Christians today. Marcion taught a radical dichotomy between the Jewish Scriptures and the gospels. Like other Gnostics, he believed that the Old Testament God of the Jews was a corrupt and inferior being who had marred His creation with His own imperfections. The physical matter, which He created, possessed intrinsically evil qualities. Marcion taught that the Jewish God’s own scriptures revealed His complete ignorance and incompetence. I suppose today, we’d call Marcion a “nut” or a “cult leader” for espousing such “fringy” beliefs, but as we know, nuts and cult leaders are able to gather followings, sometimes really large ones. Lancaster records how Marcion created his own version of the apostolic scriptures, leaning heavily on only one gospel and ten of Paul’s epistles. He even edited out any references to anything from the Old Testament, thus building his theological house on shifting and unstable sand. Marcion’s New Testament collection spread quickly, and Marcionite churches began to flourish. 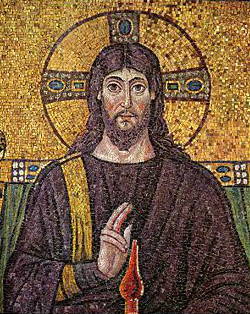 Marcion’s form of Christianity was easier to understand and naturally appealed to people. It removed the inherent contradictions between Christian theology and Judaism that conventional Christians like Ignatius and Justin Martyr attempted to retain and gloss over. It seemed more logical. Marcionite Christianity assessed Judaism as the religion of legalism, laws, and concerns with the corrupt world of physical matter. According to Marcion, Judaism stood in antithesis to Christianity’s teachings about grace, love for one’s neighbor, and spiritual salvation. Marcionite Christianity instantly appealed to Gentile Christians who felt uncomfortable with their relationship with Judaism and the hated Jews who had persecuted Christ and Christians. Although the “nuts and bolts” of Marcion’s theology may no longer be with us, the “echo” of it seems to be thoroughly woven into the fabric of Christianity (if you’ll forgive the mixed metaphor), at least in terms of the dichotomy many Christians believe exists between the Torah of Moses and the Grace of Christ, as if these are two mutually exclusive concepts, wholly divorced from one another. Many Christians give intellectual assent to the idea of our faith having Jewish origins, but in the same breath, they will say that there is no valid Jewish context for Christianity. The legacy of the heretic Marcion in the twenty-first century Church. Of any of the three people presented in Lancaster’s last chronicle, this is the one I’d like to meet. If any of these three individuals had a clue as to the true intent of Messiah in how we all should live and relate to each other and to God, it was Polycarp of Smyrna. In 154 CE, the new bishop of Rome, a man named Anicetus, attempted to force the Christians of Asia Minor to abandon their observance of Passover. Roman Christians commemorated the Master’s death by fasting from the Friday that falls during the seven days of Passover until midnight on the subsequent Saturday. They broke the fast by taking the Eucharist together in celebration of the Master’s resurrection. Anicetus tried to force Christians everywhere to adopt the Roman custom. The Christians who refused to adopt the Roman custom were called “fourteeners” (quartodecimans) because they insisted on keeping Passover on the fourteenth of Nisan. They kept the Passover “on the fourteenth day of the month at evening” (Exodus 12:18), more precisely speaking, at the beginning of the fifteenth day. Polycarp’s followers seem to have adhered to more of the “Jewish” practices, but we have no clear picture of exactly how this was accomplished in a wider range of behaviors. If we understood more about Polycarp and his stream of Christianity, we might get a better idea of the nature of the relationship of Gentile and Jewish believers, especially in terms of identity and religious practice. Here ends the Chronicles of the Apostles — men of whom the world was not worthy. I have collected these things after they had almost faded away due to the passage of time. So too, may our Master Yeshua the Messiah gather me along with His chosen ones into His kingdom. The last paragraph of the last page of the last teaching of the last Torah Club volume. As you read this, it is Shemini Atzeret and tomorrow is Simchat Torah. We read the final words at the end of Deuteronomy soon and immediately begin again with the reading of the first words in Genesis. My Pastor says this is a reminder that we are never done with reading the Bible. I see it as part of the lifecycle of people of faith, even as we mark the cycles of our lives each year in birthday celebrations. But although the Torah is timeless, not so the years of man. I’m not quite the same person I was a year ago when I began this study. I’d like to think I’ve gained a bit in my studies but as with aging, there are a few things I’ve lost as well. It’s nearly time to pack up the sukkah for another year. In synagogues all over the world, it will soon be time to re-roll the Torah scrolls for another year. Many things are endless and many more are not. The future is shrouded in fog and mystery. What will the coming year bring? What will begin once again…and what will end? Restrain the festival by bonds to the corners of the altar. The Talmud states that if a person celebrates the day after the holiday with a festive meal, it is considered as though he had built an altar and had brought sacrificial offerings upon it. Rashi states that the reason for the eighth day, Shemini Atzeres, can be explained with the parable of a king who invited his children for several days of feasting. When the time came for them to leave, the king said, “Your departure is so difficult for me. Please stay with me for yet one more day” (Rashi, Leviticus 23:36). Similarly, after seven days of Succos, in His great love for Israel, God asks us to stay with Him for yet one more day before returning to our mundane activities, which so often distract us from Him. To indicate that we cherish our closeness to God just as He does, we add a day of festivity after the last day of the holiday, to extend even further the intimate companionship with God. This testimony, that we value our intimacy with Him and that we leave the Sanctuary only because we must tend to our obligations, is held equivalent to building an altar and bringing votive offerings. Indeed, God wants us to engage in work – Six days shall you work (Exodus 20:9) – but our attitude toward the workweek should be that of a person who is away from home on an assigned duty, and who longs to return home to his loved ones. The importance of our closeness to God should be manifest not only on the day following the festival but all year round as well. try to maintain the closeness with God, that I achieved during the festival, even when I am involved with the activities of everyday life. 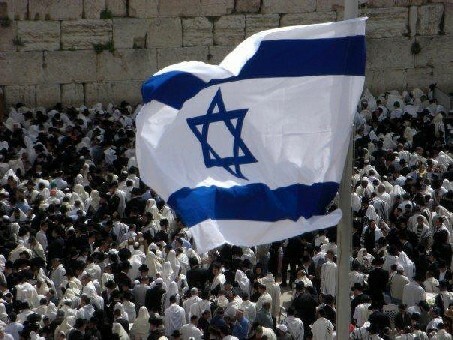 While for Christians, today is just another day of the week, for observant Jews all over the world, the party’s over. The festivals that have received so much build up over the past month or two have all ended. If they haven’t done so already, it’s time for Jewish families to dismantle their sukkot and put them away (assuming they use a kit like I do) for another year. The dancing is over and the Torah scrolls have been returned to their arks. This coming Shabbat’s reading is Genesis 1:1. The cycle of life begins once again. It can either be a build up or a let down. Or, as I mentioned yesterday, it can simply be another reminder for me that time is passing and there is no definite direction set for the next step of my journey. I suppose I could just keep walking and wait to see what turns up, but what if nothing turns up? 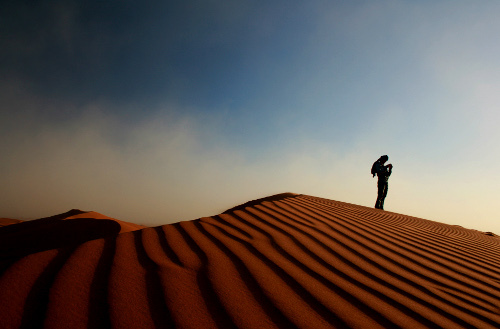 Everybody hits a “dry spell” in their faith, but I feel positively arid. Joy is supposed to be a mitzvah, but over the past year and a half or so, I’m still failing Joy 101. If we have no joy in our hearts, we deny the love of God. 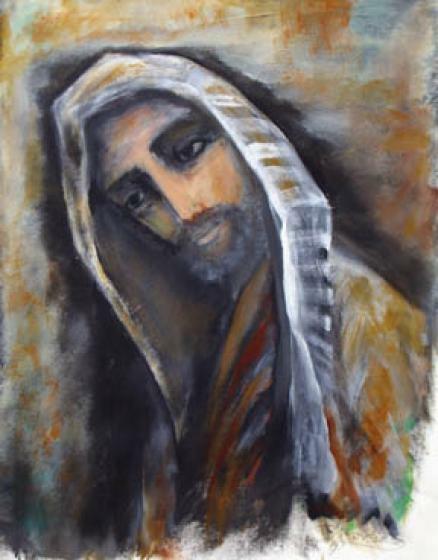 We should not say, “Our heart is the dwelling place of lust, jealousy, anger; there is no hope for us.” Let us realize that we have another guest in us who desires to give us life and joy, notwithstanding our sin. HaGra, the Gaon of Vilna, explained, “‘They shall obtain joy and gladness’ (Isaiah 35:10). Joy (sason) and Gladness represent the two Messiahs, the core of Joy being Messiah son of Joseph, about whom the verse speaks” (Kol HaTor 74). This understanding is based upon the Talmud, where Joy and Gladness are personified in a discussion about the highly significant practice of pouring water on the altar during the Feast of Booths (Sukkot). I can only conclude that joy, like love, is a verb; it’s something you do, not something you feel. We can love by performing acts of love, such as feeding the hungry, hugging a crying child who just skinned his knee, helping an elderly, infirm person across the street, or visiting a sick person in who is in the hospital. But how to you do joy? Or has that question already been answered? Simchat Torah means “the rejoicing of the Torah,” for the Torah rejoices on this day. The Torah is the stuff of the Jew’s life: his link to his Creator, his national mandate, the very purpose of his existence. But the Jew is no less crucial to the Torah than the Torah is to the Jew: it is he and she who devote their life to its study, teaching and practice; he and she who carry its wisdom and ethos to all peoples of the earth; he and she who translate its precepts and ideals into concrete reality. So if we rejoice in the Torah on Simchat Torah, lifting its holy scrolls into our arms and filling the synagogue with song and dance, the Torah, too, rejoices in us on this day. The Torah, too, wishes to dance, but, lacking the physical apparatus to do so, it employs the body of the Jew. On Simchat Torah, the Jew becomes the dancing feet of the Torah. 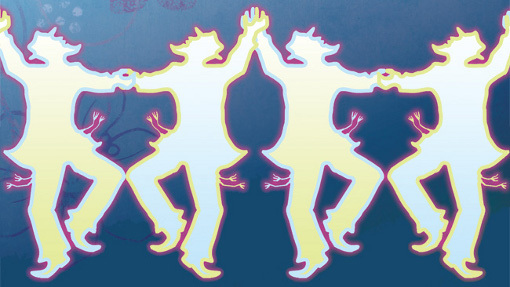 But James, the brother of the Master, didn’t say to “count it all joy” when you’re dancing around with the Torah scroll, but when “you meet trials of various kinds.” And Rabbi Pliskin said, “The one who views everything in his life as an integral part of his service to the Almighty, will experience joy in dealing with whatever arises,” so anything that happens, regardless of its nature, if it is part of us serving God, should be a source of joy. What’s the connection, or is there a connection between Jewish tradition, Jewish philosophy, and Christian scripture? I suppose this is where having a mentor might come in handy, but I can’t see that happening. Of course, James didn’t say “feel joy when you meet trials of various kinds,” he just said “count it all joy,” as if it were joy, but it isn’t really. Rabbi Pliskin’s advice is harder, because he tells us to “count it all joy” no matter what, and to actually experience joy. I like James’s advice better. 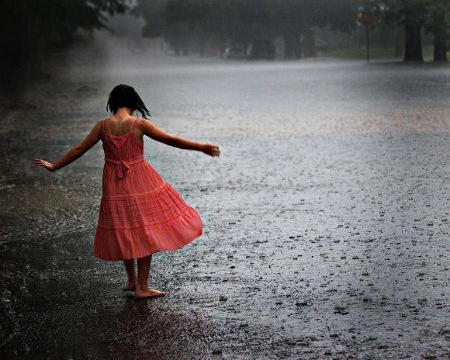 Maybe in the arid times, we’re supposed to just “count it all joy” not expecting to really experience joy, but knowing that someday, once the water starts to pour again, joy will be forthcoming with the rain. Question: I am a lay leader at my temple. Since our rabbi is away, I will be leading this week’s Shabbat service. I have beginner-intermediate skills for chanting Torah. Your pasha page was very helpful. Could you define the words “Chazak Chazak Venis-chazeik,” so that I can explain it to the congregation? Rabbi Hayim Halevy Donin (in To Pray as a Jew) explains that this is a cry of encouragement to continue with the reading of the next book, and to return to this one again in due course. The triple use of the word “Chazak” may symbolize past, present and future. Be strong and may you be strengthened! But be strengthened for what? Synagogues throughout the world will reverberate this Shabbat with the communal outcry of “Chazak, chazak, venitchazek” as the final words of Chumash Shemot are read. This rallying cry to strengthen ourselves as we move from one Chumash to another is especially relevant to Jews living in Israel. Faced by the relentless terror from our enemies and the complacence of a world towards those who wish to destroy the Jewish State, there is truly an urgent need to remain strong in spirit as well as in defensive capability. 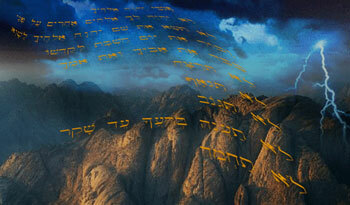 But this strength must have its source in our Torah, which gives us an undeniable right to our Land. The more that Jews see that there is a direct relationship between loyalty to Torah and security there will be a strengthening of our ability to enjoy Israel forever. We see that this cry of encouragement isn’t just to gather strength to continue with the reading of the next book of Torah. For Jews, this is summoning the strength to continue to face adversity, crisis, and the seemingly perpetual efforts of the nations of the world to exterminate the Jewish people and their state. I recently read an article about Cyber attackers targeting Iranian oil platforms. My attention was drawn to a particular quote in the article, which was originally published by the British news agency Reuters. Mohammad Reza Golshani, head of information technology for the Iranian Offshore Oil Company, told Iran’s Mehr news agency that a cyber attack had targeted the offshore platforms’ information networks. So now the Jews are the regime occupying Jerusalem.” Even this quote from a seemingly innocuous news story takes pot shots at the legitimacy of the Jewish state and the right of the Jewish people to the Land of Israel. Yes, it takes a great deal of strength to be Jewish and particularly to be Jewish in the Middle East. I suppose not specifically, since the traditional reading of the Torah cycle is foreign to most churches. Still, if we widen our focus, I think we can consider the principle behind the statement of encouragement to have some meaning for us. A life of faith is not an easy one. While unlike the Jews, the rest of the world isn’t actively seeking to destroy Christians and Christianity (although there are some parts of the world where Christians are directly persecuted), we aren’t exactly well-loved, either. That’s to be expected, even of the best of us, since holding to a moral standard isn’t exactly a popular sentiment in a world that worships relativity in its morals and ethics. 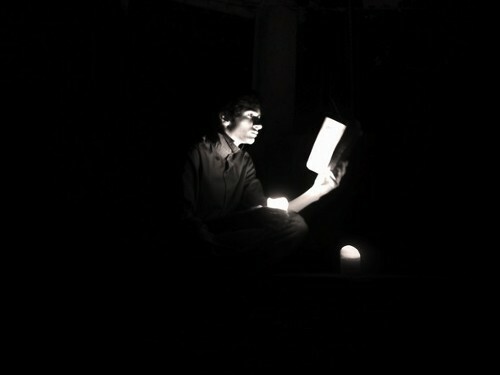 But then again, what we are most often criticized for is our faults, not our virtues. We are criticized for our hypocrisy, our hostility, our judgmentalism, our bigotry, our sexism, and so on. Much of the time, our critics are right about us. When we compare our actual behavior to our stated values, we come up short. How often are we “caught” feeding the hungry, visiting the sick, providing water to the thirsty, showing respect for the aged and infirm, comforting the grieving, and so on? Oh, it’s not that we don’t perform the deeds taught to us by our Master. It’s that we don’t make them central to our lives. It’s embarrassing when we see atheists who outshine us at actually behaving with “Christian values.” Where is our strength under these circumstances? For me though, the need for strength is in trying to sort out my own unique role and place in the world around me and in the Kingdom of Heaven. To employ a well-known aphorism, I’m “neither fish nor fowl.” My self-declared identity is as a Christian, but if I actually showed up in a church, ten seconds after I opened my mouth, I’d fit in about as well as a square peg in a room full of round holes. The same would go for me attending a synagogue, since I’m only marginally familiar with the actual Hebrew prayers and customs and in any event, my presence would make the missus far more uncomfortable than it would me. I keep toying with the idea of going back to a church. I’ve got one picked out as a likely candidate, but then, given how embarrassed my wife is at the mere fact that I’m a Christian, my actually attending a church would likely add insult to injury. There are a variety of barriers involved which I won’t go into, but if my wife feels uncomfortable in inviting Jewish friends to our home, how would she feel if I joined a church and then invited a few Christians over? I frankly don’t see a way around all of this and hence the need for personal encouragement. Be strong, be strong, and may we (or rather I) be strengthened. For that matter, may my wife be strengthened so that she can return to the Jewish community and participate in worshiping God among her people. If the encouragement is generally for a Jew to continue from one book of Torah to the next, then I’ll interpret it for myself (an arrogant conceit, I must admit) as the encouragement to continue as an individual person of faith from one day to the next. I’ll consider it the strength to continue writing meditations from one day to the next. Joshua was encouraged by God to be strong and courageous, and he had both God and the Children of Israel to support him in taking the Land of Israel for the Jews as was promised by the God of Abraham. Most married couples who are religious are religious in the same direction, attending the same house of worship, and adhering to the same basic expression of faith, whether that is Christian, Jewish, or anything else. Even many intermarried couples will attend both his house or worship and hers, at least on occasion. Like I said, I’m neither fish nor fowl. This is a season of beginnings for religious Jews. For me, it’s another day, another morning. How many more should I anticipate? How many more should I plan for? 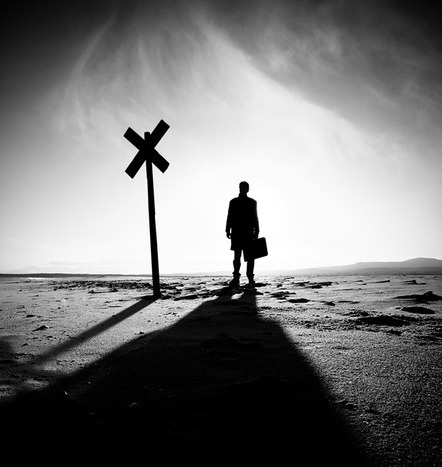 Where is the end of the trail and upon reaching it, will God and I part company or is there a future for both of us together? This change in focus can be difficult, but once you accept it is possible, you will be able to change your attitude. Question: I’ve been enjoying the philosophy articles on Aish.com. The approach to life resonates with me much more than the Western style of consumerism and media hype. Regarding the obligatory nature of mitzvot, however, I think sometimes humans have to disregard the boundary and be disobedient against the command. It might be painful, but I believe you come away with a higher appreciation that God and His commands are ultimately correct. Do you agree with this thinking? The Aish Rabbi Replies: You have touched on a deep truth, but ultimately your principle is mistaken. The Talmud states: “In a place where a reformed sinner stands, even a righteous tzaddik does not stand.” The idea is that after having erred, you can analyze your negative acts, learn from them, and use that knowledge as a foundation to motivate you further. While all this seems to imply that it is better to make mistakes and then correct them, rather than never have made the mistake in the first place, that is not true. Let’s take the mundane example of the rule: “Always look both ways before crossing the street.” There are two ways to learn this lesson: 1) Listen to the advice of teachers and parents to look both ways before crossing, or 2) cross recklessly, get hit by a car, and then while lying in the hospital acknowledge a lesson well-learned. The problem in choosing the second path is that there is always a residual effect from our mistakes. A teenager who experiments with drugs may grow up to realize the dangers, but a lot of brain cells have been killed in the meantime. To be fair, many non-Jewish “Messianics” were taught for years or even decades that there was “One Law for the native-born and the alien” and that information is well ingrained into their psyche and identity. Now that “the movement” has evolved and more accurate information is available relative to how the Bible defines the roles of “Messianic” Gentiles and Jews, it is very hard for some to surrender a status or role that they’ve become quite used to. I remember when FFOZ (First Fruits of Zion) first announced that they had been wrong in supporting the One Law position and that they were correcting their teachings and organizational stance. I felt angry and betrayed and shot off a very pointed comment or two on Facebook in response. It was like being given an important and valuable gift and becoming comfortable with it, then having it suddenly ripped away. I suppose I could have become one of those angry “deniers” and continued to “demand my right” to “Torah obligation,” but I started to think. FFOZ had financially just shot themselves in the foot. A large number of their constituents simply abandoned them, abruptly and significantly reducing their income. Why would they do that when in any practical sense, even if privately they’d come to the conclusion that One Law was unsustainable Biblically and theologically, they should have publicly maintained their OL position in order to make sure they survived as a ministry? Their decision only made sense if moral and spiritual honesty were more important to them than an income. I became curious and started investigating. At about the same time, I started looking at my wife’s pursuit of her Jewish identity as an individual and as a member of the Jewish community through different eyes. Long story short, I realized that I had been wrong in my One Law assumptions and shifted my perceptual and theological paradigm accordingly. But to say that it was difficult is a gross understatement. A lot of people aren’t capable of that kind of change. I even recently wrote about how difficult it is to “share Abraham” so to speak, and accept that only certain blessings are passed down to the nations (Christians) through Israel. Exchanging self-entitlement for a more mature reality is very hard and not everyone is going to accept it. Frankly, and not to necessarily contradict the Aish rabbi from whom I quoted above, I don’t see how some mistakes can be avoided. I mean, we all make mistakes. Some are actually part of the human developmental learning process. Take walking for example. When a small child is first learning how to stand and walk, the child falls a lot. Falling isn’t a mistake at this stage of development, it’s a requirement and it’s perfectly normal and expected. No small child has ever (to the best of my knowledge) spontaneously stood and walked with absolute precision on the very first try, and never fell back to the floor. Everybody falls the first time, or the first dozen times, or the first few hundred times. I think trying to understand God and trying to understand who we are in God is like learning how to stand and walk. We get a lot of things wrong at first, but that’s to be expected. Just conceptualizing the existence of God is tremendously difficult, and integrating faith, trust, hope, and spirituality into a daily lifestyle can escape even some of the best of us. I would hardly expect anyone to become “good at it” right off the bat. In fact, most of us never get really “good at it.” We continue to struggle, to learn, and we periodically fall flat on our faces. That’s how I’d characterize my own spiritual development, anyway. I suspect that if we were all honest with ourselves and everyone else, every person of faith would admit to the same thing. Only pride keeps us from doing so. We’re afraid of looking foolish. We’re afraid of what other people will say. We’re afraid of just letting go of all that and, like a little child, accepting what God has given us from His abundant store of gifts. For seven days of Sukkot, Jews walk around in circles, carrying an assortment of green and yellow flora. Then, on Simchat Torah, they dance in circles carrying Hebrew scrolls, working up to a frenzy. When I was first invited, cajoled and nudniked to join the circular festivities, I was more than hesitant. I attempted to explain that I didn’t see the point of walking in such a way that you don’t get any further than where you started. Needless to say, the argument was ignored, and I was swept into the circle whether I liked it or not. And I felt stupid. For about the first 40,000 circuits. After that, I forgot about myself and how I felt and what I was doing and why I was doing it and whether I was stupid and that I was there at all. And that’s when the circle became good. Very good. It was good exactly due to that which I had subliminally feared. Because as I stand here, I am I. In the circle, that I dissolves into we. 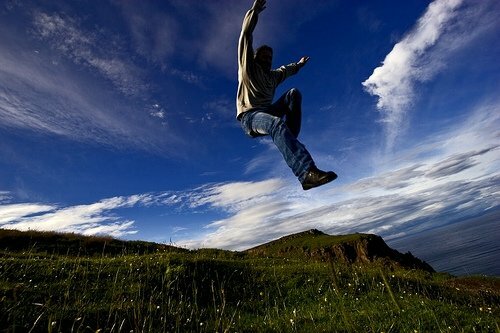 And in that very act of transcendence, that loss of self, there is unbounded joy. While being embarrassed and feeling foolish (and avoiding joy) aren’t exactly mistakes, these are experiences that, if we allow them to, will prevent us from correcting mistakes and lead us into a lifestyle based on error and fear. In fact, many people try so hard to avoid embarrassment, foolishness, and the tremendous effort that change requires once it’s discovered, that they live in self-denial, never even permitting themselves to realize that what they are living is a mistake. That is why so many people (and I know atheists must think this about religious people) can “stand their ground” and “stand up for their rights” with total conviction of purpose, and still be dead wrong. But remember, even in the lesson we learned from the Aish Rabbi, it’s only a mitzvah if we realize we made a mistake and corrected it. And, remember as well that it would have been better to never have made the mistake in the first place. We can’t avoid making a mistake. We fall so that we can learn to pick ourselves up. Although mistakes are regrettable, they are also part and parcel of the human experience. Falling down is an obvious mistake when our intention was to walk. Many human mistakes are far more subtle and even when we want to be honest, it can be difficult to see past our own assumptions, prejudices, and pride. To conquer even our unintentional and unconscious errors, we must learn to question everything about ourselves. Why do I believe in such-and-thus? Is it because I grew up believing this? Did someone teach me this belief when I was cognitively or spiritually immature? Examining the same information now that I am more educated, more mature, and more stable, will I reach the same conclusions that I did before? These are all very dangerous questions and they can make us feel extremely insecure in areas that are absolutely the foundation of our existence. You don’t have to question your faith in God, but you do have to question what that faith means and how it is to be expressed. While people can change, most people don’t once they arrive at a certain comfortable plateau. The trick is never to completely rest on that plateau. It’s not your destination. Keep climbing, even if you feel uncomfortable, even if you feel nervous or foolish. The truth is always one level higher than you’ve ascended so far. Or like Rabbi Freeman, after dancing in pointless circles the first 40,000 times or so, eventually, you’ll see that pursuing the joy of God is more important than how you feel or what you look like to others. 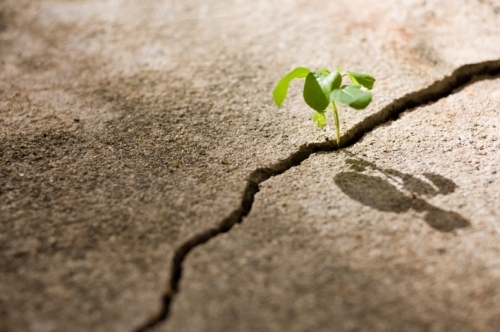 Fixing mistakes and repairing your life is a mitzvah. So is longing for God. The two go hand in hand.